I think all of you book bloggers will agree with me when I say that there's a lot more to book blogging than people may think! It's not as simple as just chilling out and reading a book and then writing up your thoughts on it - there's a lot of hard work! 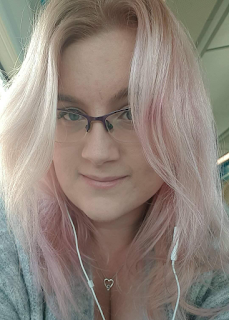 So I've made a little blog post planner to try and streamline the process a bit. You don't have to do everything in this planner - you don't have to do any of it if you don't want to! It's your blog, so you can do whatever you like. But these are my tips for really squeezing the most out of every single post, both for you and your readers. 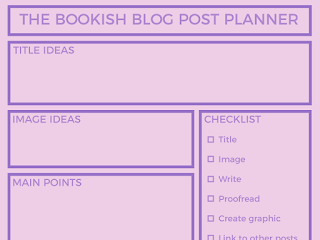 Click here to download your printable copy of the bookish blog post planner and checklist! Use this space to jot down a few ideas for your title. The title is super important; it’s got to sound like something your readers will want to click on, but it’s also got to have some great keywords in there to get google to want to push it up the list, so more people can find your blog. If it's a review, the title is probably pretty self explanatory. If it's more of a discussion type post, or if it's a recommendations post, or something less fixed than a book review, try out a few different title ideas! I'm not saying you should shove in a bunch of keywords so the whole thing reads like nonsense, but maybe jot down a few keywords people might search for that might be relevant to what you're doing, and see if you can word the title in a way that fits them in. These titles could be used for the exact same post, but one is focused on the writer, while the other is focused on the reader. Of course, I'm not saying your readers don't care about you! But if you make your content reader-focused, then it's easier for more, new people to find your blog. If you wanted to find some recommendations for YA thrillers, you're not likely to google 'my favourite ya thrillers' - you're more likely to type 'the best ya thrillers' or 'top ya thrillers'. When you go to title a post, have a think about what someone might search to find the topic you're discussing. Every blog post needs an image! It's something that can help get people's attention when you share it on social media, and it'll also automatically pop up if anyone else shares it. So use this space to think about what that image will be. If you do you own photography, think about the kind of setting or props you might want to use for the photo, or the angle, or any other books you might want to include in the shot. If you're creating a graphic with text, think about the kind of style you want, the colours, the fonts. This one is a bit self-explanatory. 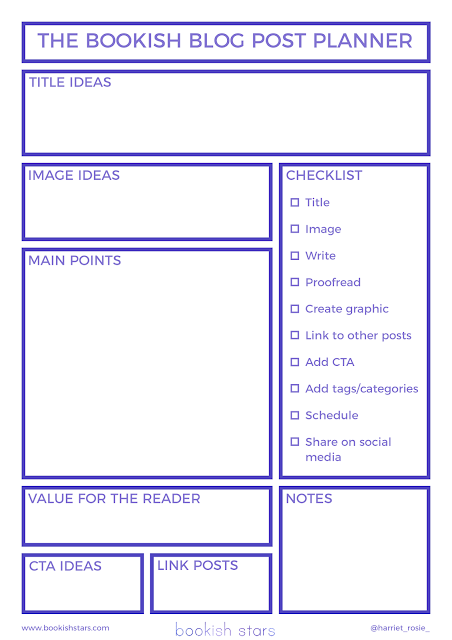 Use this space to jot down the key points your blog post will cover, and play around with the structure a little. Make sure it all makes sense, and everything is in the right order. It might seem like a waste of time if you feel like it’s an easy post to write, but having notes, bullet points, or a structure in place will make life so much easier for yourself when you go to write it. I personally cannot write without a little list of bullet point to guide me. I might know perfectly well what I want to say, but I just can't do it when I'm faced with a blank document and nothing else! This one is really taking it to the next level - thinking about what value your reader will get out of your post. If it's a review - does it give them the information they'll need to decide whether to pick it up themselves? If it's a discussion post, will it entertain them and get them thinking? I love planning my posts based on what I think I can give to readers, whether that's advice, opinions, recommendations, or whatever else. When you start shifting your mindset to really have your readers in mind at every stage of creating your blog posts, it makes it so much better for new readers! A CTA is a Call To Action - it's basically something you want your reader to do when they've finished reading your blog post. This could be asking them to leave you comment with their opinions, or asking a question for them to answer in the comments. Or it could involve suggesting they follow you on Twitter or Instagram to stay up to date. Use this space to jot down some ideas for other ways they can interact with you! You've done all the hard work of getting your blog out there and getting people to visit your site - so now make sure they stay there as long as possible by showing them some other posts they might enjoy! If you've written a review, link another review of a book by the same author. If you've written a discussion post, link another discussion for people who can't get enough of them. If you've done a recommendations post, leave the links to any full reviews you have of books you mentioned. Use this section to write down which posts you could link to to give readers something else to enjoy! Once you’ve filled out all of these sections, it’s time to put your post together! Title – Pick your favourite title from the Title Ideas section, polish it up, and finalise your title. Image – Decide on what your main image is going to be based on your ideas in the Image Ideas section. Get the image ready and pop it into the blog post. Write – Write it up! Use your Main Points section to guide you through it. Proofread – After you’ve spent time writing a great post, you often just want to post it and be done with it, but make sure you push yourself to proofread it, because silly typos can look so unprofessional! Create graphic – Create the image you’ll use to share the post on social media! You might want to create something that has the blog post title written over the picture, or you might just want to create a cropped version of your image that’s the right size for social sharing. A square one for Instagram, a tall one for Pinterest etc. Link to other posts – Make sure you remember to link in those other posts you noted down in the Link Posts section. Add CTA – It’s up to you whether you have the CTA first or the links to other posts first – whichever you think works best! But make sure you remember to add it in. Sometimes, linking to another post and suggesting going over and reading that one can be the CTA itself! Add tags/categories – If your blog is split into tags or categories to make it super easy for readers to find what they want, make sure you add them in! Schedule – Ideally, you’ll be writing your posts before they actually need to go out to keep everything on schedule. Check your editorial calendar to see when you’ve planned for it to be published, and schedule your post! Okay, so I'm not doing that, I'm going to publish this as soon as I've finished it. But these blogging tips are all about best practices we can all aim for - and in an ideal world, I'd be so on top of blogging that I'd be sticking to a schedule! Share on social media – Once your post has been published, make sure you share it on social media! Use those graphics you created, and shout about your new fantastic post that your followers will want to read! So there it is, the super in-depth guide to creating the perfect blog post for your book blog. Got any questions? Feel free to leave a comment or tweet it to me @harriet_rosie_ and I’ll get back to you! 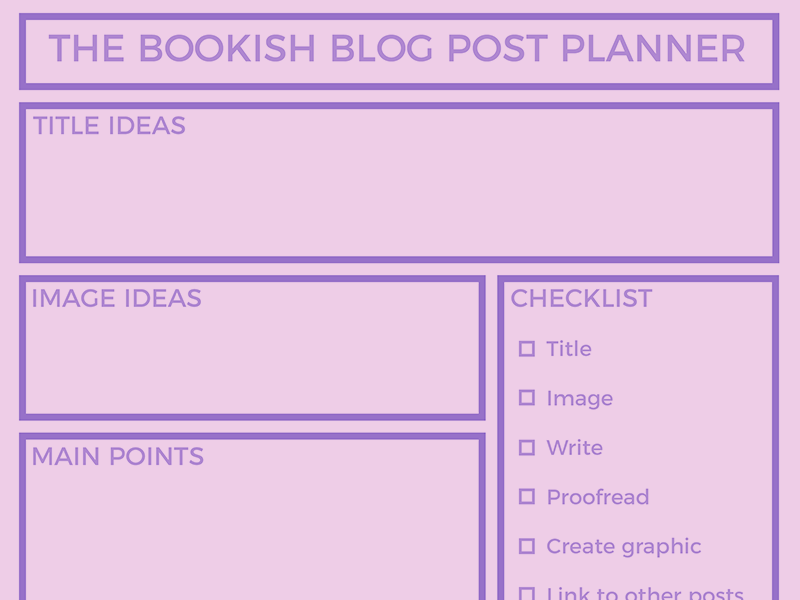 Now that you know how to use the Bookish Blog Post Planner and Checklist, print yourself out a copy and use it to plan your next blog post!